Read the article by Pereira et al. entitled “Individual Positive Endexpiratory Pressure Settings Optimize Intraoperative Mechanical Ventilation and Reduce Postoperative Atelectasis” on page 1070, and the corresponding editorial by Kacmarek and Villar entitled “Lung-protective Ventilation in the Operating Room: Individualized Positive End-expiratory Pressure Is Needed!” on page 1057. After successfully completing this activity, the learner will be able to describe the components of lung protective ventilation and their intended benefits; recognize potential effects of positive endexpiratory pressure (PEEP) application; and recognize the effects of PEEP in changing lung mechanics during open and laparoscopic procedures. The American Society of Anesthesiologists designates this journalbased activity for a maximum of 1 AMA PRA Category 1 Credit™. Physicians should claim only the credit commensurate with the extent of their participation in the activity. 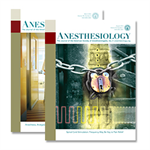 In accordance with the ACCME Standards for Commercial Support, the American Society of Anesthesiologists has implemented mechanisms, prior to the planning and implementation of this Journal-based activity, to identify and resolve conflicts of interest for all individuals in a position to control content of this activity. 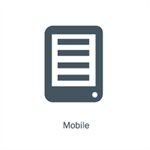 The information provided in this activity is for continuing education purposes only and is not meant to substitute for the independent medical judgment of a health care provider relative to diagnostic and treatment options of a specific patient’s medical condition. Non-physicians may receive a Certificate of Completion stating that this activity was designated for 1.00 AMA PRA Category 1 Credit(s)™. Anesthesiology Journal-based CME is intended for anesthesiologists. Researchers and other health care professionals with an interest in anesthesiology may also participate. CME Editors: Leslie C. Jameson, M.D., has reported no relevantfinancial relationships with commercial interests. Dan J. Kopacz, M.D., has reported holding an equity position with SoloDex, LLC. Authors: Sérgio M. Pereira, M.D., Mauro R. Tucci, M.D., Ph.D., Caio C. A. Morais, P.T., M.Sc., Claudia M. Simões, M.D., Ph.D., Bruno F. F. Tonelotto, M.D., Michel S. Pompeo, M.D., Fernando U. Kay, M.D., Ph.D., Paolo Pelosi, M.D., F.E.R.S., Joaquim E. Vieira, M.D., Ph.D., Marcelo B. P. Amato, M.D., Ph.D., Robert M. Kacmarek, Ph.D., R.R.T., and Jesús Villar, M.D., Ph.D., have disclosed no relevant financial relationships with commercial interests. Background: Intraoperative lung-protective ventilation has been recommended to reduce postoperative pulmonary complications after abdominal surgery. Although the protective role of a more physiologic tidal volume has been established, the added protection afforded by positive end-expiratory pressure (PEEP) remains uncertain. The authors hypothesized that a low fixed PEEP might not fit all patients and that an individually titrated PEEP during anesthesia might improve lung function during and after surgery. Methods: Forty patients were studied in the operating room (20 laparoscopic and 20 open-abdominal). They underwent elective abdominal surgery and were randomized to institutional PEEP (4cm H2O) or electrical impedance tomography–guided PEEP (applied after recruitment maneuvers and targeted at minimizing lung collapse and hyperdistension, simultaneously). Patients were extubated without changing selected PEEP or fractional inspired oxygen tension while under anesthesia and submitted to chest computed tomography after extubation. Our primary goal was to individually identify the electrical impedance tomography–guided PEEP value producing the best compromise of lung collapse and hyperdistention. Results: Electrical impedance tomography–guided PEEP varied markedly across individuals (median, 12cm H2O; range, 6 to 16cm H2O; 95% CI, 10–14). Compared with PEEP of 4cm H2O, patients randomized to the electrical impedance tomography– guided strategy had less postoperative atelectasis (6.2±4.1 vs. 10.8±7.1% of lung tissue mass; P = 0.017) and lower intraoperative driving pressures (mean values during surgery of 8.0±1.7 vs. 11.6±3.8cm H2O; P < 0.001). The electrical impedance tomography–guided PEEP arm had higher intraoperative oxygenation (435±62 vs. 266±76 mmHg for laparoscopic group; P < 0.001), while presenting equivalent hemodynamics (mean arterial pressure during surgery of 80±14 vs. 78±15 mmHg; P = 0.821).